Norfolk Yacht Agency is the region’s largest dedicated new and used boat sales centre. We buy and sell quality motor boats throughout the UK and Europe and operate an efficient and professional brokerage service. We are leading agents for new boat sales in Norfolk, as suppliers of the superb range of motor boats from local manufacturer Haines. Browse our wide selection of quality used boats, choose from either our selection of fully prepared stock boats or from our large selection of used boats available via our brokerage team. 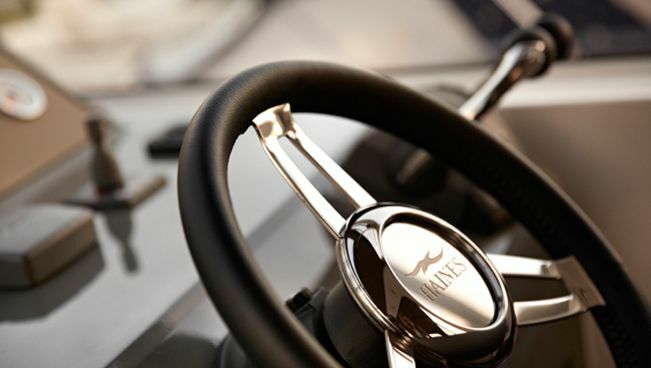 If you are searching for a new boat, view our outstanding selection of bespoke built motor cruisers from award-winning manufacturer, Haines. Tailored to your specification, we guarantee to have the Haines cruiser you are searching for. Perfect for beginners to cruising, or those who prefer company whilst enjoying boating adventures, our Cruising Club is a unique proposition. Our fully supported cruise, led by our professional team, gives the opportunity to try offshore cruising in a safe and reassuring way. Chartering a boat on the Norfolk Broads is like nothing else you've experienced. 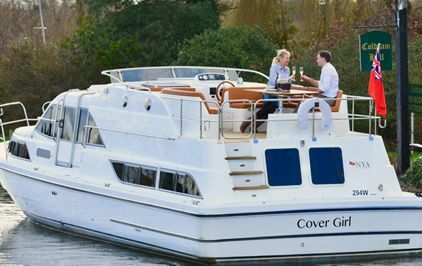 The beauty and tranquility of the scenic Broads is idyllic and our charter boats, Cover Girl and Moneypenny offer comfort, style and ease of driving while you're navigating the stunning waterways. Our service centre is a one-stop shop for any work your boat may require. 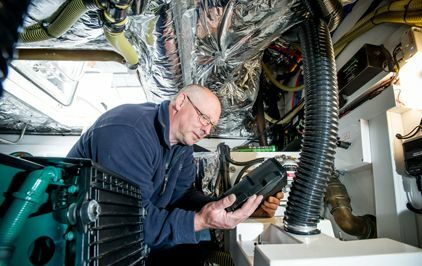 Our experienced marine engineers will take care of every aspect of boat maintenance, from routine servicing and maintenance to retro-fit installations and urgent repairs. Our experienced team will guide you through the process of selling your boat from valuation through to completion of sale. We will give you the best advice and provide you with peace of mind as you sell your boat - you can trust NYA to provide you with the best service. 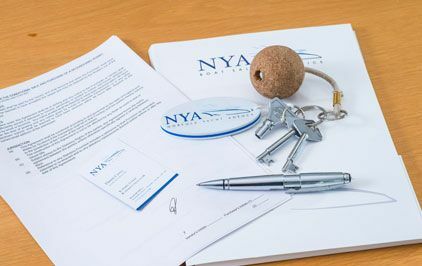 When you buy a boat from NYA you can be sure that you're in safe hands. 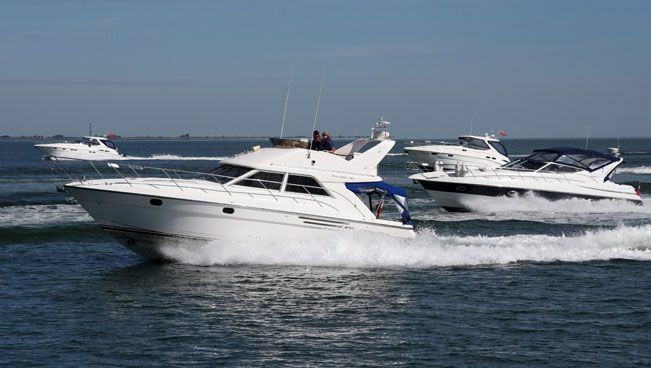 Our comprehensive service covers all aspects of buying a new or used boat. Our professional team are on hand to assist with everything from purchase through to servicing your new boat. In addition, we offer training to ensure you are comfortable in handling your new purchase. We can also provide expert guidance on financing, insurance, surveys, moorings, and transportation. Each of our used stock boats is meticulously prepared to the highest standards and all of our boats are offered with part exchange, allowing you a hassle-free option when it comes to selling. In addition to our sales and brokerage teams, we also offer expert boat servicing, repairs and restoration. We love the opportunity to get to know our customers while helping them to select their next treasured boat and it’s great to hear about their many adventures onboard the boats they purchased from our boat sales team. Here are just a few of the stories we’ve collected. Join the NYA fuel club for a one off payment of £250 inc vat. Members are issued with an electronic fob which will allow them to get fuel from our pump at highly reduced rates, 24 hours a day. Our Diesel station is installed at Freshwater Harbour. The ‘state of the art’ Pumptronics pump is computer linked to our office for billing and draws from a 10,000 litre storage tank. It is assumed that the split of 60/40 for propulsion and domestic use is the accepted standard at the pump. If you would like to find out more, please contact louise@nya.co.uk. Our boats for sale are all available to browse on our website and if you have any questions, would like any further information or if you would like to arrange a viewing of any of our stock boats, our friendly sales team will be happy to help you.